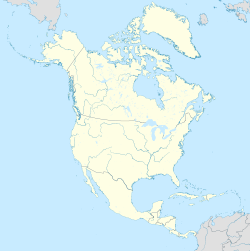 According to the United States Census Bureau, the city has a total area of 8.5 square miles (22.0 km2), of which 8.5 square miles (22.0 km2) is land and 0.12% is covered by water. Bay City was formerly named "Bay Prairie", as the natural ecosystems that surround the town are prairies crisscrossed by creeks that lead into the bay. The climate in this area is characterized by hot, humid summers and generally mild to cool winters. According to the Köppen Climate Classification system, Bay City has a humid subtropical climate, abbreviated "Cfa" on climate maps. As of the census of 2000, 18,667 people, 6,912 households, and 4,769 families resided in the city. The population density was 2,196.0 people per square mile (847.9/km2). There were 8,113 housing units at an average density of 954.4 per square mile (368.5/km2). The racial makeup of the city was 61.62% White, 17.26% African American, 0.74% Native American, 0.88% Asian, 0.07% Pacific Islander, 16.84% from other races, and 2.59% from two or more races. Hispanics or Latinos of any race were 34.74% of the population. Of the 6,912 households, 37.9% had children under the age of 18 living with them, 49.0% were married couples living together, 16.1% had a female householder with no husband present, and 31.0% were not families. About 27.1% of all households were made up of individuals and 10.5% had someone living alone who was 65 years of age or older. The average household size was 2.66 and the average family size was 3.25. In the city, the population was distributed as 30.9% under the age of 18, 9.8% from 18 to 24, 28.2% from 25 to 44, 20.0% from 45 to 64, and 11.1% who were 65 years of age or older. The median age was 32 years. For every 100 females, there were 95.0 males. For every 100 females age 18 and over, there were 91.1 males. The median income for a household in the city was $30,446, and for a family was $39,281. Males had a median income of $38,202 versus $23,058 for females. The per capita income for the city was $15,284. About 18.3% of families and 21.4% of the population were below the poverty line, including 27.7% of those under age 18 and 14.3% of those age 65 or over. Minorities make up the largest ethnic portion of Bay City, Texas. In 2017, Bay City became the site of a new $1.8-billion Tenaris seamless-pipe mill, making tubular goods, such as drill pipe and casing, for the oil-drilling industry. Bay City formerly housed the headquarters of Stanley Stores. The chain made several donations to the Bay City Museum. Bay City is home to the Matagorda County Birding Nature Center, a 35-acre (140,000 m2) expanse of gardens and wildlife along the Colorado River of Texas. Other attractions include the Matagorda County Museum, Market Days every 3rd Saturday, and a variety of small shops and boutiques downtown. The Bay City Art League, also located here, has recently undergone major renovations and is currently working to revitalize the art scene in Matagorda County. In addition, the Bay City Community Theatre group (CAST) regularly produces shows at various local venues. Bay City is served by the Bay City Independent School District, consisting of elementary, intermediate, junior high, and high schools (including Bay City High School). The district previously operated seven schools until grade levels were condensed. It is now operating five schools and is led by superintendent Dr. Marshall Scott III. Matagorda County is served by the Matagorda Regional Medical Center, and the mission-aligned Matagorda Medical Group. The Matagorda Episcopal Health Outreach Program (MEHOP), the county's only federally qualified health center, offers Family Medical, OB/Gyn, Pediatrics, Behavior Health, and Dentistry services. MEHOP accepts most insurances and assures that no patient will be denied or unable to access health care services due to an individual's inability to pay. Charles Austin, Olympic gold medalist. Robert Blackmon, professional football player. David Caldwell, professional football player. J. B. Cox, professional baseball player. Joe DeLoach, Olympic gold medalist during the Seoul Olympics. Mark Dennard, professional football player. Alex Dixon, professional soccer player. Hart Lee Dykes, professional football player. Simon Fletcher, professional football player. Ronnie Heard, professional football player. Quentin Jammer, professional football player. Chandi Jones, professional basketball player. Greg Laughlin, U.S. Representatives from Texas's 14th district. C. Wallis Ohl, Jr., retired Provisional Bishop of Fort Worth. Ricardo Ramírez, Roman Catholic Bishop. Tracy Simien, professional football player. Loy Sneary, rice farmer and former county judge; Democratic candidate for congress in two elections against opponent Ron Paul. Mal Whitfield, Olympic gold medalist. Cedric Woodard, professional football player. The First Baptist Church of Bay City dates to the 1850s. A hurricane destroyed the sanctuary in 1909. The current structure dates to 1947. ^ a b c "State and County Quick Facts". United States Census Bureau. Archived from the original on March 27, 2015. Retrieved March 4, 2015. ^ "Historical Decennial Census". U.S. Census Bureau. Retrieved 11 August 2011. ^ "Tenaris unveils seamless pipe mill in Bay City, Texas". tenaris.com. December 11, 2017. Retrieved August 13, 2018. ^ Staff. "Price-Lo Supermarkets opens two new stores in Houston Archived 2013-01-19 at Archive.today." Houston Chronicle. Sunday July 24, 1988. Business 6. Retrieved on November 20, 2011. ^ Willey, Scott Reese. "Grocer remembered fondly for his service." The Victoria Advocate. July 15, 1999. 1E. Retrieved on November 21, 2011. "Stanley Stores also made considerable donations to the Bay City Museum"
^ "Matagorda County Museum Website". Matagorda County Museum Website. Archived from the original on 2008-05-09. ^ "Matagorda Calendar". Matagorda Calendar. Archived from the original on 14 July 2011. Retrieved 2011-08-18. ^ Brenson, Michael (May 1, 1988). "Forrest Bess: Desire Ruled His Vision". The New York Times. Retrieved August 9, 2014. ^ Gwynne, S.C. (October 2001). "Dr. No". Texas Monthly. 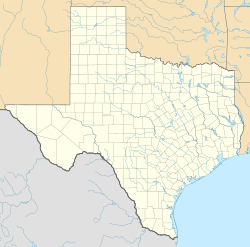 Wikimedia Commons has media related to Bay City, Texas.